Proprietary Name: Hydrogen Peroxide 3 Percent What is the Proprietary Name? 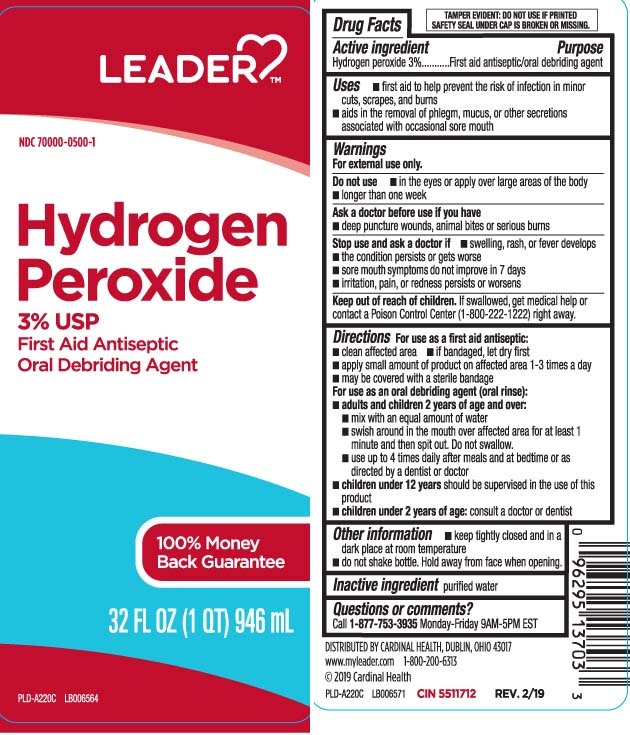 Hydrogen Peroxide 3 Percent with NDC 70000-0500 is a a human over the counter drug product labeled by Cardinal Health (leader) 70000. The generic name of Hydrogen Peroxide 3 Percent is hydrogen peroxide. The product's dosage form is liquid and is administered via topical form. If swallowed, get medical help or contact a Poison Control Center (1-800-222-1222) right away.